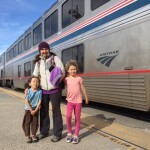 As I spend time this week organizing and tracking my personal finances, I am pleased to introduce you to Ariana from the blog, Truth, Peace, Love. 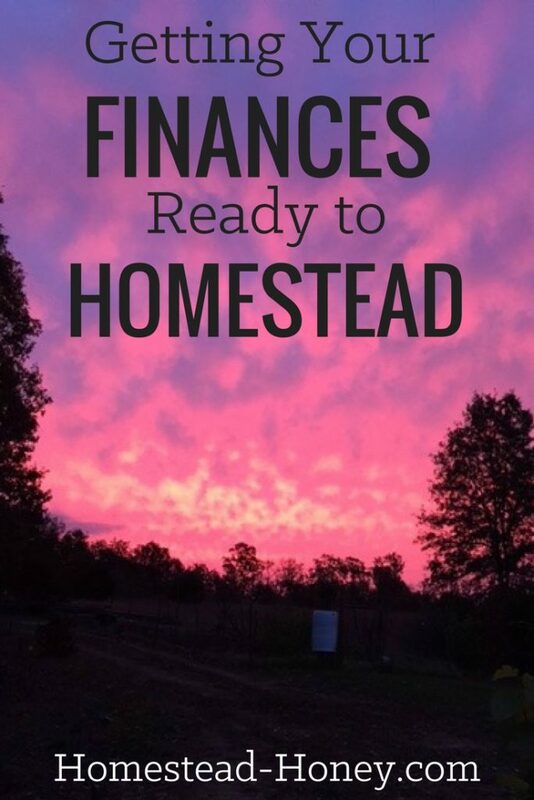 She and her family are working to save money to buy a piece of land of their own, and she has generously offered to share some of the ways they are getting their finances ready to homestead. Welcome, Ariana! I recently read an article that said many young people these days are renting land in order to farm. 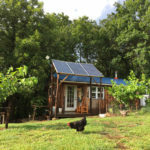 While I’m sure that works for many, my husband and I are of the mindset that we want to farm somewhere we plan on living for the rest of of lives. To that end, for the past few years, we’ve been working on fixing up our finances and looking into buying a small spot of land. We all know finances are a game; one we plan on winning! 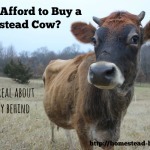 Our goal is modest ~ a homestead where we can have a small milk goat herd (we currently have 5 does), chickens, ducks, and a garden big enough to feed our family with extra to ‘put up’. 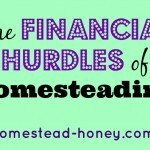 Over the past few years, like many people, my husband and I have had some financial challenges. Unfortunately, once or twice, we let life’s dramas (a major car wreck, among other things) get in the way of taking time to manage financial details. Because of that, we estimate we ‘lost’ about a year towards meeting our goal of land ownership. But there’s good news for us, and for you! We have been hard at work repairing our finances and I want to share with you how we’re doing it. Below you’ll find a list of three major things we’ve done to improve our credit score, save money, and overhaul our finances in general. This can be time-consuming, but you need to know exactly where you stand. In our case, we’d each been handling some of the bills, which meant we were rarely on the same page with anything related to finances. If you don’t have the time to sit down with your spouse and tackle the bills together on a weekly (yes, weekly!) basis, choose whichever of you is more organized and has the time to take care of finances. In our house, that’s me, and luckily my husband is sweet enough to admit I do a great job and thanks me for it regularly (and I thank him for working a ‘real job’)! You can find a record of all your student loans at http://www.nslds.ed.gov/nslds_SA/ or call 1-800-4-FED-AID. I found it most helpful to call, because then you can ask things like ‘who currently services my loans?’ and find out how many loans you actually have. For example, my husband had ten, but two were consolidated. On the website it’s very hard to tell he only has eight, but talking to someone on the phone about it cleared it right up. Once you have all your bills written down in one place (use a spreadsheet!) make a plan for tackling the bills. I read somewhere to pay down the biggest first, but in some cases that doesn’t make sense. For example, we had a bill for $88 that was we both thought the other had paid off, but it was in collections. We paid it in full on the condition they’d remove it from our credit report, which they did. Every negative thing that gets removed from your report increase your score and your likelihood of getting a land loan! Print out and file your credit report ~ and take notes on everything you do to take care of items listed on it. Another thing we’ve done is used our tax return to finish paying off things ~ for example, one year we paid off a remaining student loan balance with the local University so I could go back to school. To sum it up ~ prioritize your family goals and pay down debt to meet your most pressing goals faster. This one step is inarguably the most important ~ you MUST know where your family stand financially! 2. Figure out which bills you can reduce. One thing we don’t really skimp on is health. We buy most of our vitamins through Amazon.com because it saves money and delivery is invaluable when you live outside of town. One vitamin we all take every day is ‘2,500 IU of Vit D 3. We’ve also saved money in the past by putting one of our cars on ‘storage insurance’ if we know we won’t be driving it much that month. Even if it’s only listed as ‘in storage’ for a week that can still save you $20 ~ every little bit helps! Another favorite way to save cash is by growing a lot of our own food and preserving it! Here’s our seed list/garden plan for the upcoming year. For example, my husband and I budget enough money for two date nights a month, and we take a couple family days a month as well. We do inexpensive things such as go for a hike, explore the beach an hour or so away, or just hang out at home doing projects like building a swing. Life insurance is a good investment, especially if you’re a young family. If you are healthy, your rates can be as low as $25 a month for a couple hundred thousand in coverage. God forbid, if anything happened to either of you, no amount of money could make up for it. We’ve had a couple young friends pass away unexpectedly lately and their families are in a world of pain, emotionally and financially. If you can ease the financial part by spending $50 or so a month, it’s worth considering. Whatever your feelings on Obamacare, get health insurance. You never, ever know when you might need it. Perhaps I’m biased about all this insurance stuff because I worked for Farmer’s Insurance for a while way back in the day, but I can’t tell you the number of times I’ve had friends and family get into tough financial situations because they weren’t adequately insured. Even a short hospital stay or simple broken leg can cost thousands! One last thought ~ we always allow for savings in our budget. We try to save 10% of our income each month. There are programs for first-time home and land buyers that have matching savings accounts, you can find them by Googling ‘fist-time home-buyer matching’ along with your state or county. I hope these tips help! We’re excited to be looking for our little spot of land, and we hope you find yours, too! Do you have tips to offer? How have you saved money easily? Ariana is a wife, hippy Mama, writer and kinda-farmer. She’s blessed to have a wonderful husband, two kids, a dog, a cat, five goats and a BIG garden in her life. Some of her favourite things are date nights with her husband (which usually means working on a project in their living space! ), the privilege of facilitating learning for her kids, cooking, working with clay, mosaic projects, and her five goat does. Ariana believes that speaking Truth, living in Peace & walking with others in Love, are furthered by living in harmony with our immediate surrounds and community. 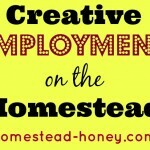 One way to do that is to reclaim our homesteading skills ~ which are essential in these times. Ariana hopes to help others discover how relearning to be self-sufficient within the home and community are part of a deep spiritual path. By honoring the Earth & treading lightly upon it we bring healing to one another ~ join Ariana in the joyful journey at truthpeacelove.com.